Here are some of the most widespread and believable cons attempting to part you and your money! Stay Alert! A new year gives people across the globe reason to reflect. Statistics may paint an optimistic picture for the upcoming year, but 2016 has been thoroughly branded on social media as the “worst year of all time”. For example, while numbers on the economic and military strength of the U.S. paint a positive picture, there are less flattering findings as well. For example, the nation leads the world in credit card fraud. Let’s start with what is perhaps the strangest scam on this list. For those unfamiliar with the con, the “hitman scam” started in the mid 2000’s. It involved scammers sending out spam emails to many targets. However, this isn’t your usual “Nigerian Prince” scam email. The sender claims that they have been hired to assassinate the recipient, and will reconsider doing the deed if the target can pay them more that what their supposed contractor did. This scam has resurfaced recently, with fraudsters sending out similar proposals via text messages. Savvy scammers may even collect information about you from social media, including where you live, or the names of loved ones — to intimidate targets. While such messages can be alarming, don’t fall for the bait. Gift card scams on otherwise trustworthy sites are becoming increasingly common. This somewhat convoluted scheme involves setting up a vendor profile on a site like Amazon. The scammer then offers expensive items at absurdly low prices, urging customers to contact them for further information. They will then request that the customer submit payment through an Amazon gift card. Upon receiving the card, the scammer cashes it and disappears. This holiday season, there were an unprecedented number of cases of this fraudulent scheme. Though not technically a scam, no-cost refinancing is a highly deceptive growing trend in the mortgage industry. In fact “no-cost” is a misnomer; the lender will recoup their money through either a higher interest rate, or by charging the consumer for closing costs (with interest, of course). In either instance, no-cost refinancing typically exceeds the cost of a standard mortgage by a wide margin. Those seeking refinancing are common targets for scammers, and 2017 will likely see this trend continue. It’s unlikely that your local police district has suddenly decided to begin issuing traffic tickets through emails. But scammers are banking on the fact that many people fall for that claim. This scam involves emailing a target a fake ticket, demanding that payment be promptly made. Sometimes a phony official-looking website is used to take payments. Other times, lazy scammers will simply request the payment through PayPal. In either case, you should report the incident and refuse to make any payment. Curious why fraudsters are getting increasingly desperate in online attempts to part targets with their money? A big part of it is due to EMV technology. That new little chip on your credit card makes it much more difficult for others to steal your credit card information — but online purchases lack that additional layer of security. Therefore, the most reliable method of tricking others is through online scams. 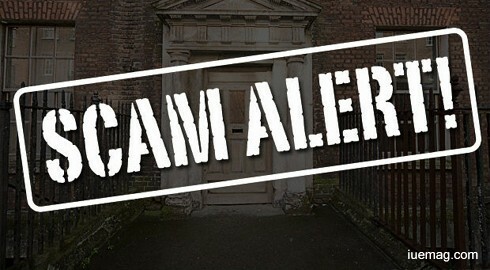 Traditional scams are being phased out, with criminals favoring tech-related shenanigans. By keeping informed about common schemes, consumers can avoiding becoming victims. You can keep a pulse on the latest frauds at the Better Business Bureau. As we shake off the negativity of 2016, being vigilant about keeping up with trends in fraud. Doing so can help you make the most out of the new year. Any facts, figures or references stated here are made by the author & don't reflect the endorsement of iU at all times unless otherwise drafted by official staff at iU. This article was first published here on 7th February 2017. Devin Morrissey is a contributing writer at Inspiration Unlimited eMagazine.